Есть вопрос для Indie House @ Nimman? Если вы, ищите отель с удобным расположением в Чиангмай, вы можете остановить поиски, так как Indie House @ Nimman - это то, что вам нужно. Отель расположен в 1 km от центра города и обеспечивает доступ к наиболее важным объектам города. Благодаря удобному расположению, отель предлагает легкий доступ к наиболее популярным туристическим местам в городе. В Indie House @ Nimman, делается все возможное, чтобы гости чувствовали себя комфортно. Безупречное обслуживание и превосходные удобства являются основными принципами в работе отеля. Проживая в этом прекрасном отеле, гости могут воспользоваться такими услугами, как бесплатный Wi-Fi в номерах, срочный въезд/выезд, хранение багажа, Wi-Fi на территории, парковка. Гости могут выбрать из 11 номеров, в каждом из которых, вы будете чувствовать себя как дома, в окружении уютной атмосферы. Отель предлагает великолепные услуги, в том числе ванны горячих источников, детская площадка, сад, призванных помочь вам расслабиться после насыщенного дня в городе. Если вы ищете комфортное и удобное место для проживания в Чиангмай, выберите Indie House @ Nimman, который станет вашим вторым домом, на время вашего отпуска. Делюкс Семейный с кроватью размера "king"
Was only looking for a clean, double bed room, with a nice shower / bathroom. Satisfactory and clean. The hot shower however wasn't the best, but I didn't mind so much as i do enjoy cold showers anyway - but im sure thats a big thing for many people. Every access location with friendly staff. Always on my choice for Nimmanhemin staying. I love how the accommodation is a few steps from the street with 24 hours accessible. The staff is really helpful, would definitely stay over again! There has been a problem with our booking on agoda. (Clicked to book the family room and received an unclear confirmation afterwards) So we took the precaution to : - send a message to the hostel asking for clarification - visit the hostel the day before our arrival to be shown which room was booked. 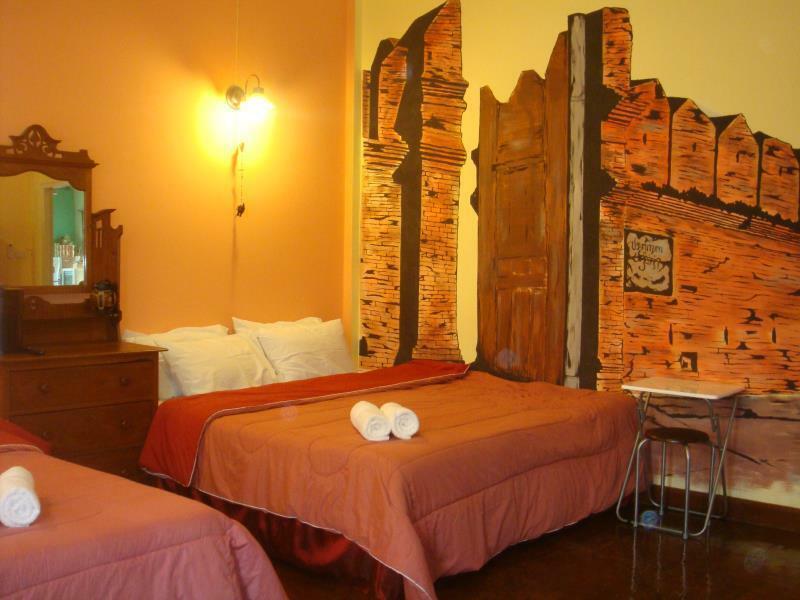 (We were shown the one we wanted) When we came for check on a hot day with luggage and 2 kids, the staff told us that the family room was not available and that our booking was incorrect. The staff didn’t understand English properly and phoned the owner. She was : - not understanding - stubborn - rude We were offered, no alternative, no proposal of reimbursement, not the beginning of a « sorry » for not answering our email and a « my staff does not understand English » as an explaination to the fact that we were not shown the good room. And not even a glass of water during the 45 Mns of us being stuck there. Not mentionning the tone ... Don t go there. A marvellous little gem of a guest house. The host/owner of Indie house is a sweetheart. He speaks good English and is very helpful and kind. I was fortunate enough to get an upgrade to one of the boutique rooms which was terrific - clean with a very agreeable modern funky design. I would stay here again and recommend it to my friends. Arrived at 4pm to find no-one present. No staff no guests. Returned after half an hour and waited. another 15 min. The place was deserted, also on need of a good cost of paint if it was to look anything like the advertised pictures. Eventually booked another place through Agoda - am expecting a refund at the least after such an atrocious experience. We are a family of 4 traveling and stayed in a room with 2 king beds and a private bathroom. The room was clean and the beds were comfortable. This is in a location where you can walk to great bars, restaurants and coffee shops. The staff are always so upbeat and helpful! My daughter loved cooking breakfast in the morning outside. This place was really charming and right in the middle of the main area. Felt safe and cozy in a spacious room. The owner is very nice,friendly and give us very good take care. What I like the most for this house is staffs and beagles. The owner of this house is very helpful and lovely. Their beagles, Popcorn and Cola, are super cute. The cons are I found many ants on my bed. Moreover, they let guests cook for breakfast by themselves (I knew before staying) but I think they should provide more ingredients and I had to wait for few guests to finish their cooking bcoz they had only one pan to fry egg and small area to cook. So, my bf and I decided to have breakfast in the restaurant outside instead. Pros: location is good if you are looking for a place to stay in Nimman (not for Chiang mai itself); right in the midle of Nimman. Owner is very friendly and told us more than once that we could take free coffee and tea. Cons: we were in the more pricey on-sweet rooms, wich I think was his formerly garage. I can imagine that it looked good a couple of years ago, but it feels outdated. The 'terrace' is just part of the parking lot and therefore not a nice place to relax. Bad smell inside from the bathroom and long hairs found on the bed. The shower went fron cold to realy hot over and over again so I made it short. The breakfast you have to make yourself. There is a wok pan and a fryer etc. This could be a fun thing to do if you like to cook in the morning. If you are in a hurry you can better grab a cookie and go. Perfect location for those that want to explore Nimman, only here for two nights before flight home and spent a lot of that sleeping. What I can say is that the staff are really lovely people. The bed was the most comfortable bed I slept on in my two weeks here after staying at several different hotels and guesthouses. Two free bottles of water and more for 10 baht from the fridge in the reception area which is really handy if you aren't up for going to 711. I wouldnt say this is the perfect place to stay over in Nimmanhaemin Rd., but I quite happy with it. Cosy and convenient. The location is the everything. You can access most attractions nearby in walking lengths. The breakfast is self-serving in average quality. I nearly didn't meet the other guests when I was there. The staffs are friendly and nice. They always smile and always nice. The room is clean. The location is great, you can walk to many cafe around there. But it is quite difficult to find the parking area because of it is quite small and there is not much space for big car. I would rate this guesthouse a 6 out of 10. It was OK - nothing exceptional except for the location and the friendly and helpful owner. You cooked your own breakfast but not a large selection was available, so I went out daily for breakfast. Hated the shower because the soap and shampoo dispensers were located on the wall outside the shower. Also the hose connected to the shower head was too short so I had to stoop a little to wash my hair and I'm only 5'10". nice developing area - with nice bars, massage. 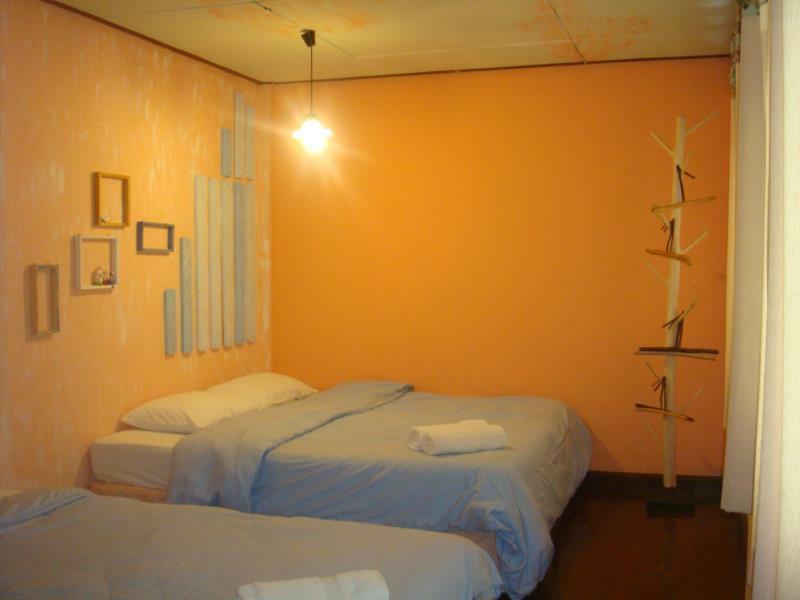 simple room (we slept 5 people 2 adults + one kid) but comfortable beds, AC. Local house and setting which was perfect for us. Highly recommend - good value for money. Only break fast which was good. 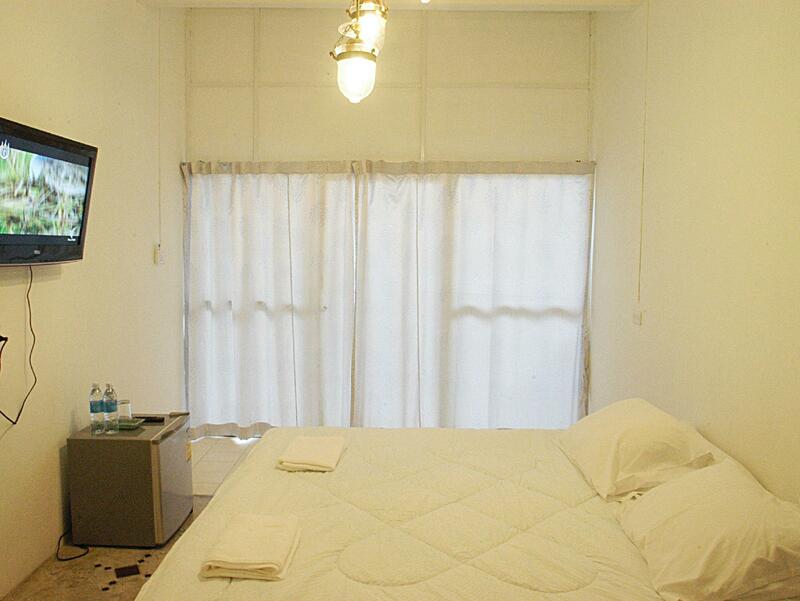 The Indie House is conveniently located in the heart of the Nimman area. The service was good and the room was very clean. No frills and very private, which I enjoy. I would definitely stay here again. 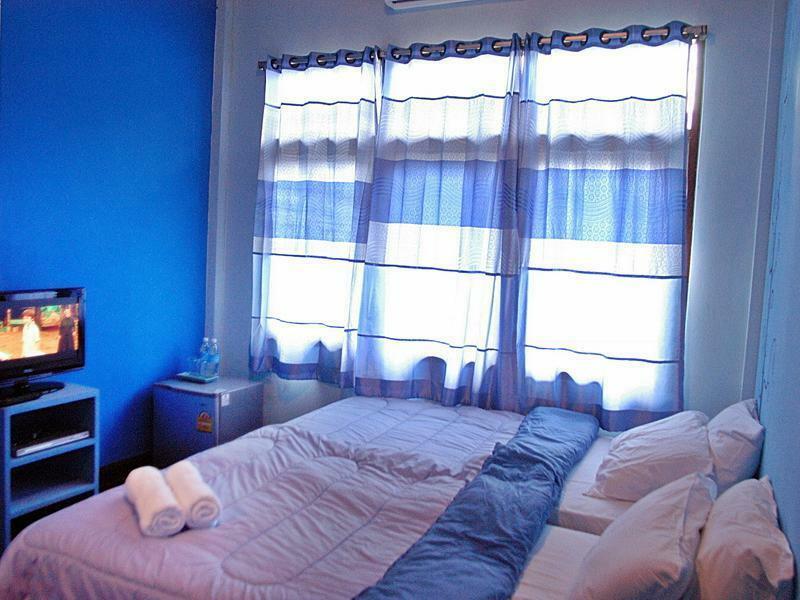 the hotel is located in the heart of city. The rate is a little bit expensive comparing to guess house. i compare with guess house sine there is no any additional facility in the hotel. also, mo refridgerator in the room (there is a common one at 2nd floor) No elevator. Overall, it is good stay but a little bit expensive i. The area. 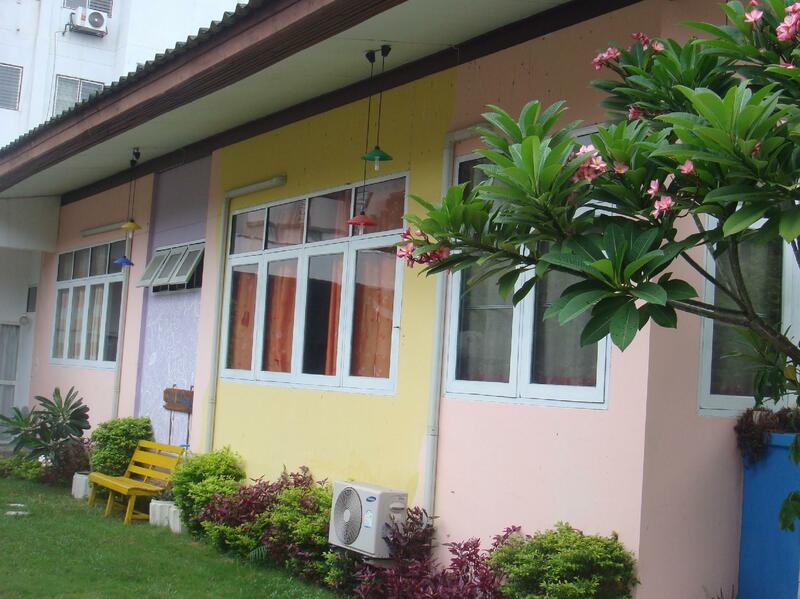 I was staying here for four night which I really satisfied with everything food, bedroom and the staff. For breakfast, you can make your own which is quite nice :) love this place! I will definitely come back and stay here again next time.